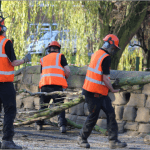 “I just wanted to thank you and your staff for the amazing job they did working with me on Monday afternoon at Benson Lane Bungalows in Normanton”. 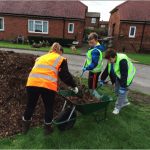 Tenant Involvement Officer, WDH. 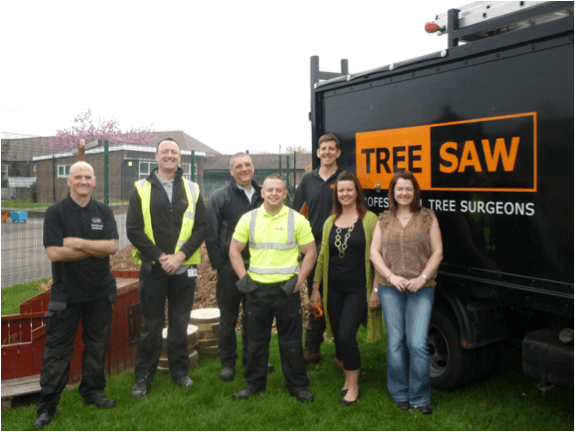 Treesaw has been providing tree services to Wakefield District Housing since 2011, under two separate framework agreements. 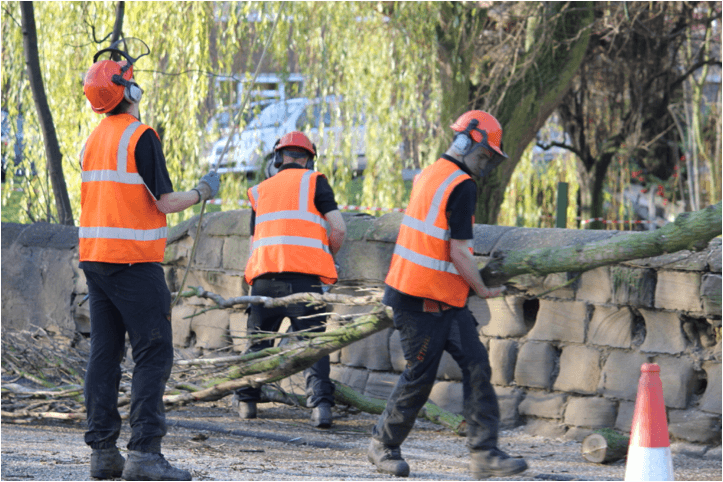 The current contract covers provision of ad hoc reactive tree work including site investigation, recommendations, emergency call out provision and all aspects of amenity arboriculture. 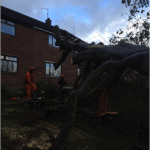 As part of the contract we have also carried out several large ‘batches’ of tree work identified by a tree survey carried out between 2011-2013 on approximately 30,000 trees. 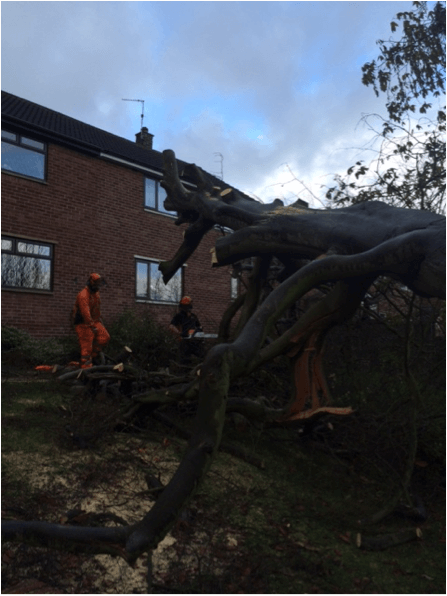 The tree work carried out in Wakefield is in high density social housing areas where protection of the public is key. 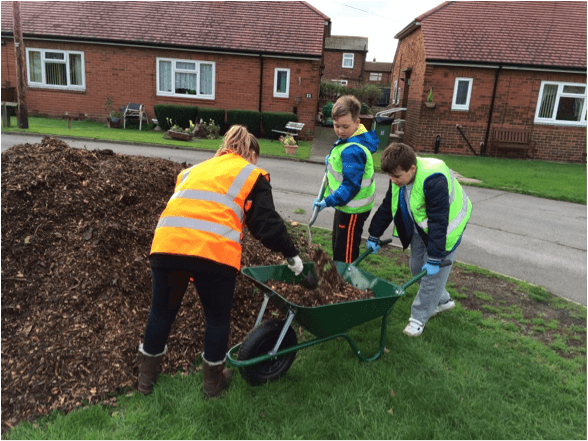 The contract regularly brings us into contact with vulnerable people including the elderly and children for whom additional health and safety precautions are taken. 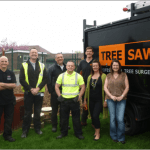 Treesaw has transported and donated wood chip and logs to a number of local schemes in Wakefield including the Community Payback Scheme, Sharlston Children’s Centre and the ‘Love Where You Live’ scheme at Pontefract Barracks and Benson Lane Bungalows in Normanton, where our staff recently delivered woodchip and spent a few hours helping residents with children from the local Primary School also involved in the gardening project.